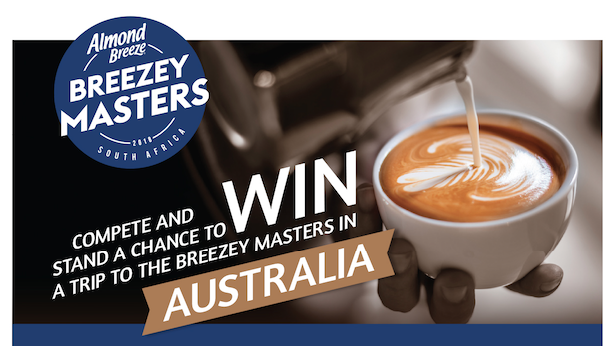 Almond Breeze Breezey Masters comes to South Africa! 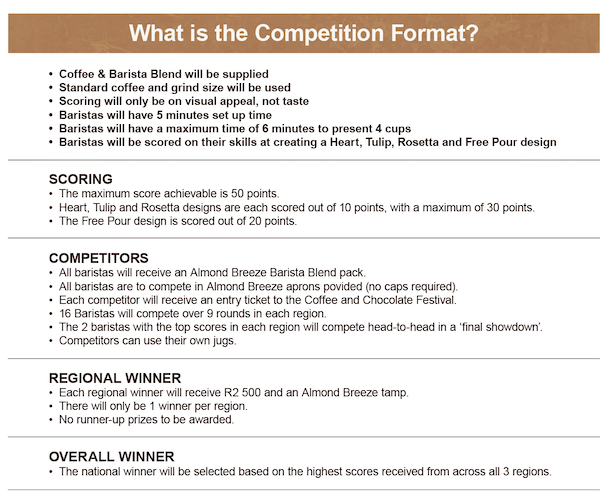 We are excited to announce that the Almond Breeze Breezey Masters is coming to South Africa - in fact, the JHB leg of the competition is kicking off this weekend at the CoffeeChoc Expo. "What is the Breezey Masters?" you might ask... it's a Latte Art competition using Almond Breeze's Barista Blend, where Baristas have 6 minutes to pour a heart, tulip, rosetta and a free-pour of their own. Breezey Masters at London Coffee Festival. The same format is used around the world. 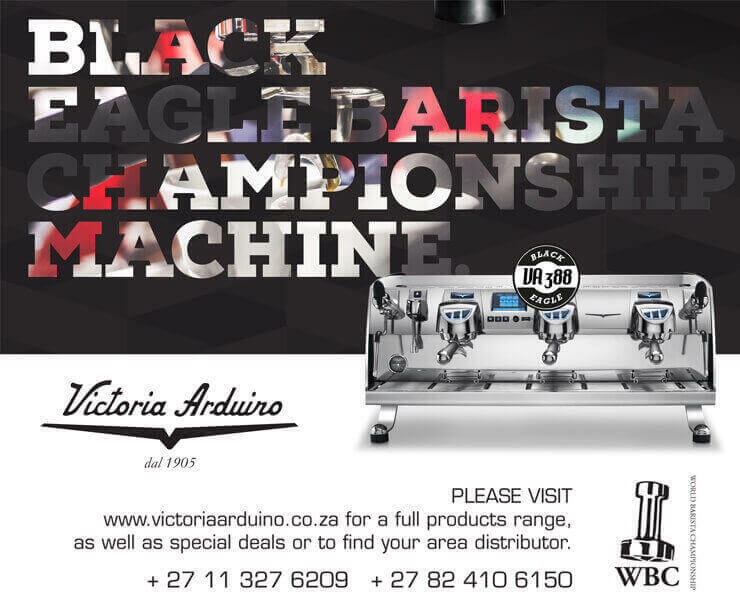 The Breezey Masters is held all over the World, and the Finals is taking place in Melbourne at the end of this year - which means one South African barista will get to travel to Melbourne to represent SA! 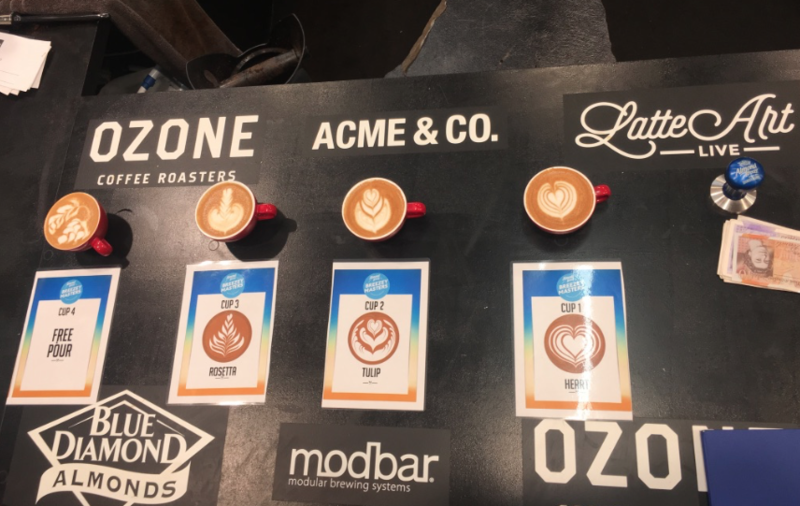 We were lucky enough to be in England for the Breezey Masters London event, which was won by no other than 2018 World Barista Champion Aga Rojewska! 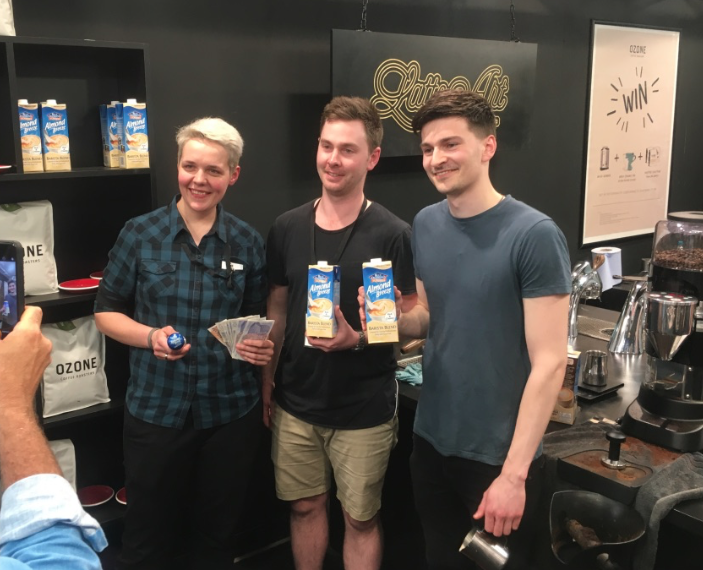 The Breezey Masters competition is such a fun Latte Art format, and there is always a great vibe, fantastic skills and, of course lots of prizes and goodies. Aga receiving her custom tamp and cash prize money from Pete Sullivan of Almond Breeze UK, with the other finalist. The SA edition of the Breezey Masters will have a JHB, Durban and CT event.